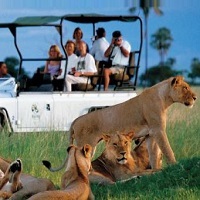 If you want to join an adventurous and thrilling tour this season then select our most economical and leisure Wildlife Tour packages. Experience the magnetic visuals of dramatic and scenic beauty of the renowned wildlife sanctuaries and national parks such as Ranthambhore, Corbett, Thekkady, Bandhavgarh and many more. A relaxing trip with friends and family will become memorable with our special tour packages that include accommodation, sight-seeing, transportation and meals depending upon the type of the selected package. In addition, the itinerary will be detailed by us. Great discounts and deals can be availed on our diverse packages. So, donâ��t miss the best value deals.